Couples may choose to do a destination wedding for many reasons! Often a specific city is particularly special to the couple due to both its physical beauty and their emotional connection to it. Perhaps they met for the first time under the Eiffel Town in Paris, France or had their first out-of-country trip together to San Miguel de Allende, Mexico. For such destination wedding couples, having photography at different places in and around their location is very important! At the same time, they want to spend time with their guests on the wedding day, and do not want to abandon them for several hours during cocktail hour or the reception! For these couples, doing one of our popular YOU+ME Bride+Groom sessions is a fun and practical idea. These sessions usually take place one or two days after the wedding and can also happen a few days prior. It allows us to go to locations further from the actual wedding venue without any stress of rushing back for the reception! We can also go to locations at the time of day that will be most flattering. 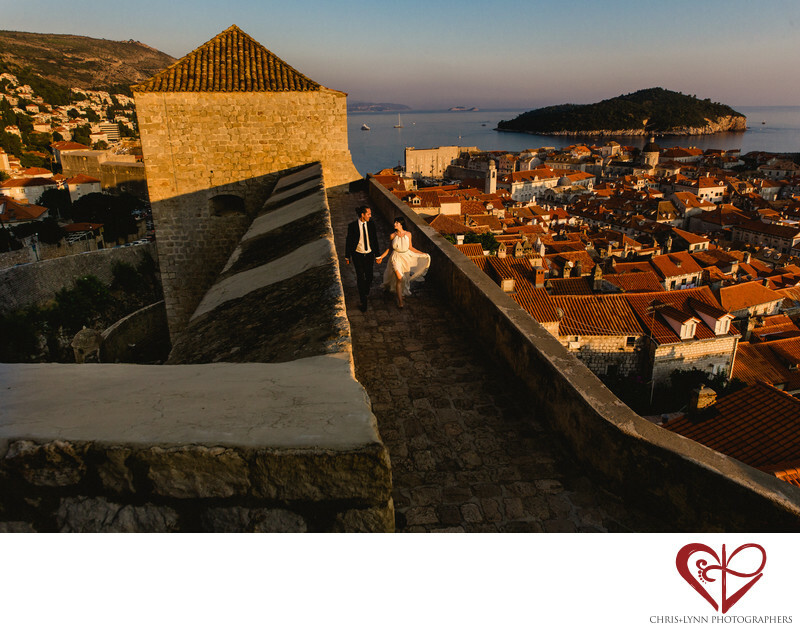 Couples tell us shoots like this are one of their best memories of their destination wedding!Without a sunset YOU+ME session, this couple would not have had the time to head to the walls of Dubrovnik, Croatia a place very special in their hearts! 1/800; f/8.0; ISO 400; 24.0 mm.